Random House Trade Paperbacks, 9780812968484, 528pp. From the award-winning author of The Danish Girl and The Rose City, Pasadena tells the story of Linda Stamp, a fishergirl born in 1903 on a coastal onion farm, and the three men who change her life: her jealous brother, Edmund; Bruder, the orphan Linda’s father brings home from World War I; and a Pasadena orange rancher named Willis Poore. The novel spans Linda’s adventurous and romantic life, weaving the tales of her Mexican mother and her German-born father with those of the rural Pacific Coast of her youth and of the small, affluent city, Pasadena, that becomes her home. 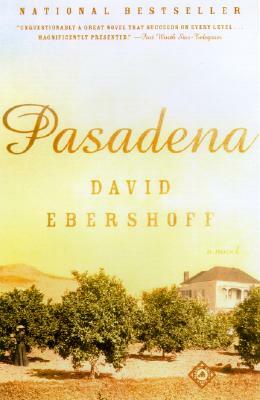 Pasadena is a novel of passion and history, about a woman and a place in perpetual transformation. “Ebershoff’s crafting of characters is so sharp, so perfect, that we ache for most of them. . . . [He] has us in thrall, and every word he writes counts."